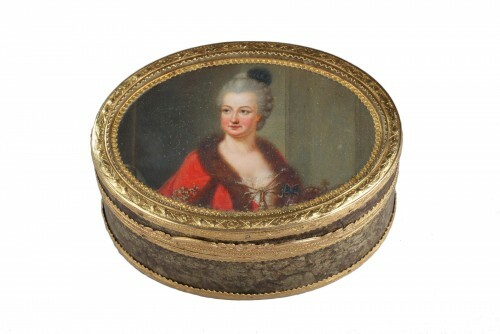 Large oval, lacquer snuffbox set in a gold framework. 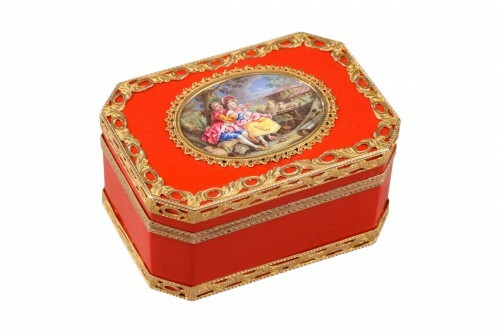 The gold is intricately sculpted with interlacing rose garlands on a striped gold background. Gold pilasters provide the side framework of the box, and four lacquer plates are inserted into this framework. The jade-colored decoration on the lacquer panels is influenced by the Japanese hiramaki-e art form, featuring lakeside scenes, clouds, and pavilions. 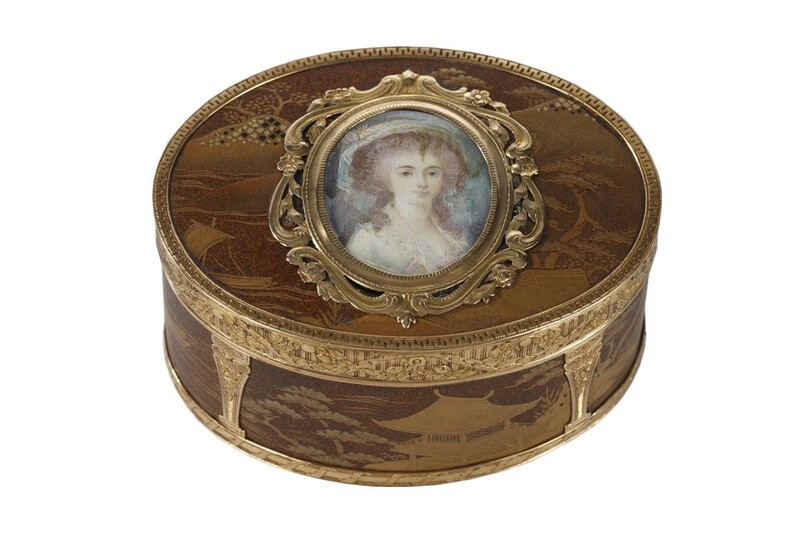 The center of the hinged lid features a portrait on ivory: a young, upper-class woman in a white robe wearing a hat. The portrait is framed in gold. 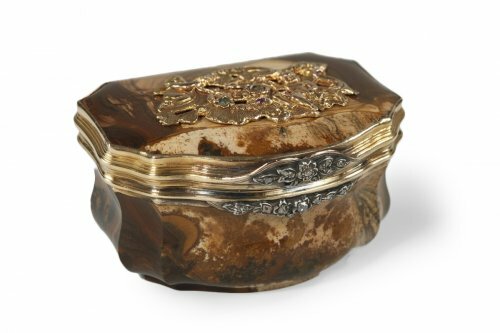 The interior of the snuffbox is lined with gold. 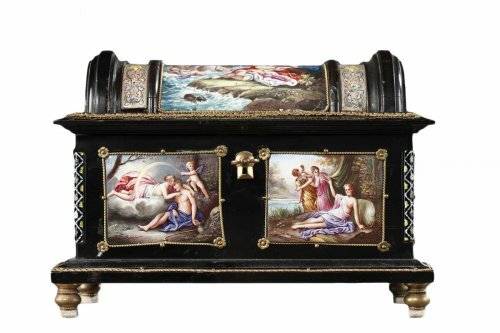 Until the end of the 17th century, lacquer was imported from Japan, but given the high cost of importation, Europeans worked to reproduce the technique. At the beginning of the 18th century, lacquer was always on a black background, but by the middle of the century, new background colors developed. 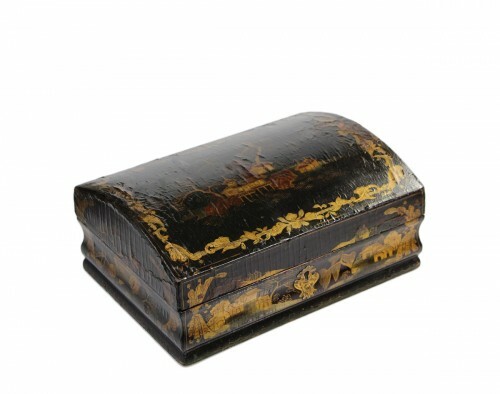 This snuffbox is representative of the Asian lacquer trend in decorative arts that was in vogue during the 18th century and of which Marie-Antoinette was an important collector. 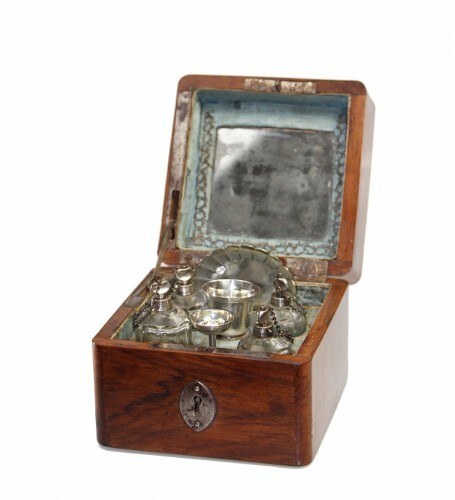 Work from the Louis XV period.